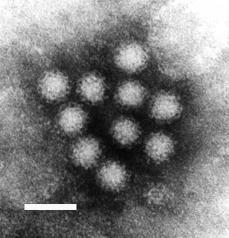 There an unwelcome visitor that comes to our shores over Winter called Norovirus, more commonly known as the “Winter Vomiting Virus”. This is a virus that causes diarrhoea and/or vomiting. The symptoms come on suddenly and last for 24-58 hours. Some people also suffer from a mild ever, headaches, stomach cramps or aching limbs. We have some information provided by the Department of Health explaining how to deal with the virus. The virus is very easily transmitted from person to person by contact with the infected person, by consuming contaminated food or water, or by contact with contaminated objects or surfaces. Please do not visit A & E at Noble’s Hospital, the Minor Injuries Unit at Ramsey, or your GP surgery. If you need medical attention, please contact your GP or MEDS by telephone. Stay at home and drink plenty of water or other non-alcoholic drinks to prevent dehydration; eat what you can tolerate. Clean up any vomit straight away using disposable cloths or paper towels. Clean the area with warm soapy water to get rid of the vomit and reduce the number of viruses, rinse thoroughly with clean water and then disinfect with a 0.1% (1000 parts per million) solution of bleach. If you can’t use bleach on the surfaces, try to prevent unaffected people, especially children, from using that area. Avoid vacuum-cleaning carpets or floors until 72 hours after symptoms have stopped, since there is a risk of spreading the virus. Regularly clean all frequently-touched surfaces with warm soapy water and wipe dry. If you usually use a spray cleaner, spray onto the cloth, not the surface to be cleaned. Avoid preparing food for anyone else. Always wash hands thoroughly after cleaning, after using the toilet and before eating. Follow the ’48-hour rule’. Allow a 48-hour interval between cessation of symptoms and resuming normal activities such as returning to work. You continue to be infectious for 48 hours after all your symptoms have stopped. Do not visit hospital, old people’s homes or nurseries for 48 hours after all your symptoms have stopped. Use soap and warm water. Alcohol hand-rubs are not effective in killing the Norovirus. Wet the hands, apply soap, and rub all areas of the hands creating plenty of bubbles. Keep rubbing all over the hands for 15 to 30 seconds, rinse with running water and dry with a hand towel kept specifically for your own use. What should I do if my child has symptoms of Norovirus? Do not send them to school. Inform the school by telephone. Keep them away from other children as far as possible. Practise hygiene procedures as described above. Keep your child away from school for 48 hours after all his / her symptoms have stopped. Your child may appear perfectly normal, but they will continue to shed the virus. Failure to follow the ‘48-hour rule’.